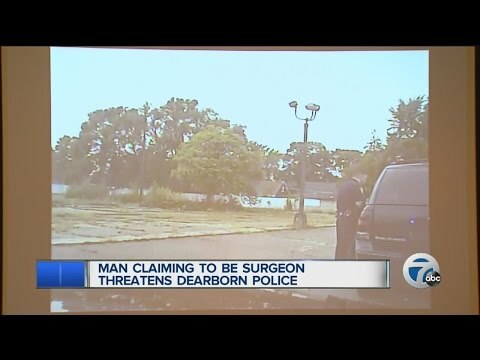 DEARBORN, Mich. — After Dearborn officers pulled over a man for not wearing a seatbelt, he threatened their lives, WXYZ reported. The incident occurred during the Click It or Ticket campaign over Labor Day weekend. The officers pulled the driver over for failing to wear a seatbelt. The man argued with officers while hesitating to grab his driver’s license and insurance information. He accused the officers of lying about catching him without a seatbelt. The driver then informed officers he is a surgeon and he would never not wear a seatbelt because he sees trauma every day. He then told the officers, "If you can be human and lie, I can be human and let you (expletive) bleed out." The police chief released the footage to let the public know what officers deal with on a daily basis. The officers and the man in the video have not had their identities released. WXYZ reported a source told them the man is not a surgeon, but goes to work in an operating room.